Recent U.S. Senate hearings have revealed that Americans are unprepared for the consequences of losing their incomes, even for a short time, due to a disability. Due to high debt loads, new doctors may be especially vulnerable. So, before you wrap up your residency program and move on to a permanent position, learn to evaluate employer-provided disability plan options. Household net worth has plunged nearly 40% since 2007. This, coupled with steep declines in family income and savings, is raising concerns in Washington that Americans at all income levels are increasingly vulnerable to financial risk from illness or other disability. One reason is that savings are at low levels; people at all income levels are living from paycheck to paycheck. As a result, members of half of all households recently surveyed indicate that they would not be able to raise even $2,000 within a month. So, even a minor disruption in income could have catastrophic consequences for millions of families. Plus, people – especially medical students — are carrying significant debt loads. For medical students, the average debt load is $161,290 (2011), reports the American Academy of Family Physicians. This compares to consumer debt overall, averages out to $24,775 per household. Finally, few people have private disability coverage to replace their income if they become disabled. According to government statistics, 67% of Americans have no private disability income insurance (DI). How Vulnerable are you to the Risk of Disability? The average worker has a one-in-three risk of becoming disabled and being unable to work for six months or more during his or her working career. The most common reasons for disability leave from work are cancer, complications of childbirth, muscle/bone disorders, heart attacks, strokes, and surgery. Plus, according to the Council on Disability Awareness, the average long-term disability lasts 31.2 months (more than 2.5 years), and more than 30 million Americans are currently disabled. Can you count on Social Security? Social Security disability benefits are minimal. 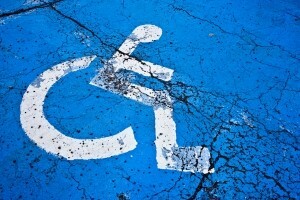 In 2012, the average monthly payment to disabled workers is $1,111. Additionally, about 70% of all applicants for Social Security disability benefits are turned down initially, and the four-tiered appeals process can take years. In that time, people can be reduced to poverty. Double check to make sure you are, in fact, insured. Do not assume you are covered just because disability insurance is mentioned in the Employee Handbook. It is legal and common for employers to provide disparate benefits to different “classes” of workers, and also to change benefits at will. Coverage may vary by position. Even two doctors in the same department may have different coverage. Also, keep in mind that coverage can change or be discontinued at any time. If you become disabled, you need to know in advance about the terms and benefits of your coverage. The point: Do not just read your employee handbook. Review your own schedule of benefits to learn the terms and conditions that apply to you. Double check how much of your income is covered. No DI policy replaces 100% of the insured’s income. Most have a replacement ratio (also known as a Participation Cap) of between 60% and 66%. That is because (A) benefits may be nontaxable in some situations, as when insureds pay their own premiums; and (B) a lower ratio helps discourage malingering. Even then, do not assume that every dollar you earn is covered. Your plan probably counts your base salary. However, it may or may not cover overtime, signing and performance bonuses, stock-options, housing stipends, car lease payments, CME allowances, membership dues, and employer-paid contributions to your pension and insurance (malpractice, health, life and disability). As a result, you may have what is known as a “participation gap,” and it can be significant. Having a low participation cap with a narrow definition of income means fewer dollars in your pocket while you are disabled. So, find out what amount of your countable income actually is covered AND the percentage of your participation cap. Double check to see if your benefits will be taxable. The basic rule is simple: If your employer pays the premium, your benefits will likely be treated as taxable income. However, if you pay the premiums yourself, benefits will be tax-free. That’s a big difference. Double check the definition of disability. If your coverage is strictly for doctors, it should have an “Own Occ” definition of disability. That means you are considered to be disabled if you cannot perform the major responsibilities of your own occupation as a family physician. However, if the definition is “Any Occ,” that means you must be unable to do much of any work at all to qualify for benefits. (This is how Social Security determines benefit eligibility.) You could be denied benefits if you can find any employment, without regard for your education and experience as a physician. Double check for an “other income benefits” clause. This permits your employer’s plan to reduce your benefits by the estimated amount of proceeds payable by Social Security (disability and retirement), other disability insurance, and other income sources. Double check the waiting period. Most long-term disability plans provide waiting periods (the time before insureds are eligible for benefits) of three to six months. That’s normal. However, to control premium costs, some employers have LONGER waiting periods. If you have a long waiting period, stockpile cash to fill the gap if you become disabled. Double check the length of the benefit period. Some employer plans provide benefits for as little as two to five years. This can lead to a benefit gap if you become permanently disabled. Most providers recommend coverage that lasts until your normal Social Security retirement age (anywhere between ages 65 and 67 based on your DOB). Double check for rehab and partial disability benefits. Does your employer plan pay benefits for rehabilitation expenses, for trial returns to work, or for partial disability during a recovery from a total disability? Double check to make sure your plan is portable. Many employer-provided DI plans are not. That means coverage ends if you change employers. Even a seemingly minor health event, from which you have fully recovered, may make you ineligible for coverage under your new employer’s plan, even though you are healthy enough for full-time employment. Double check the limitations of your rights under ERISA. The Employee Retirement Income Security Act restricts your right to take your employer’s welfare benefit plan (including life, health and disability benefits, if premiums are paid wholly or in part by the employer) to court for wrongfully denied benefits. Additionally, awards are limited to the amount of money the plan would have paid on your claim, plus interest. Legal fees may not be covered. Payments for extra-contractual damages and punitive awards are never permitted. Supplement employer coverage with personal disability protection. In exchange for a series of small, budgetable payments, you can transfer the financial risk of becoming disabled to an insurance company and help guarantee that your income will be replaced if you become disabled. Set up an emergency fund account. The ideal amount should be equal to between three and six months of net income. This creates a cash cushion that will enable you to withstand short-term financial crises from any cause, including disability. The bottom line: With your personal financial plan, just as with medicine, know what is present and what is absent. Free-to-you employer-provided benefits can be a valuable supplement when the gaps are identified and filled by your own savings and/or personal insurance. Take the time to do your benefits research. It will be time well spent. Household net worth declined from an average of $126,400 to $77,300 between 2007 and 2010. Household income declined from $49,600 to $45,800 during that same period. Source: Federal Reserve Board.